Cornsnake and cage. 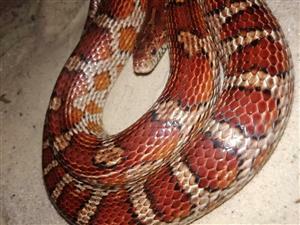 The cornsnake is in a very healthy condition and she eats very well. She's 5 years old and 1.1m long. 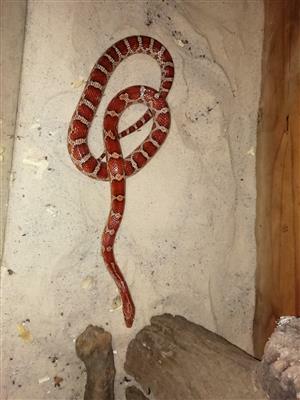 Get an email notification for any Results in Reptiles in Roodeplaat when they become available.